They just dont care anymore for pvp. Guess Ill lookat the raid. If we have 3 months of broken gear to finish the season, then I dunno what to do. The solution is get the broken gear. I queued with different people between 1k9 and 2k3 yesterday on two characters every single DK I met had the tank trinket, only two warriors didn’t have it and quite a few other classes without tank spec had it as well. I guess it’s going to be Cos hard farm for the next weeks by most “PvP’ers” to get that trinket that puts a 30s self damaging effect on you to remove cc (idk if it actually works but why would it not) or stuff like that. Let’s wait and see how long it takes for them to fix this. If they wait as long as last time then I think it’s obvious their goal was to push everyone into farming these new items. Well the problem is that it’s hard finding a guild that does mythic out of nowhere. It would be like going to a pve player that has never played pvp and tell him to go play RBG to 2.4 for his absolutely broken BiS item. 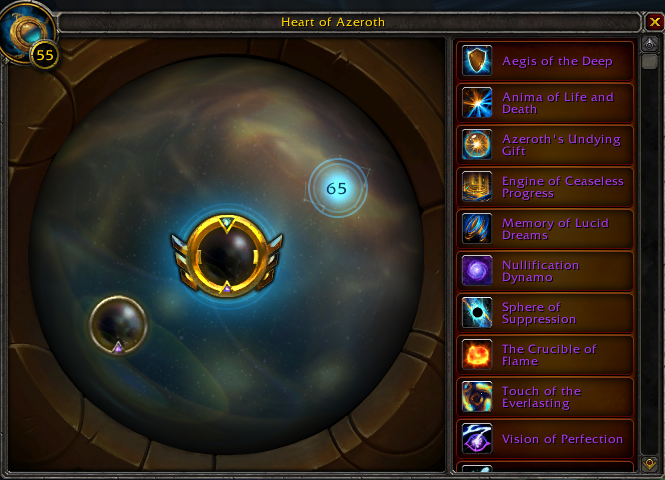 Heroic with titanforge is probably bis for us. I may tryvto raid. Maybe i will enjoy it; mythic+ is actually OK. I totally agree this is why the game is not pleasant right now, on top of the meta not being fun without PvE trinkets anyways. Actually we should all be thankful for tank trinkets, let’s keep in mind they announced a trinket with 8.2 that deals 25k damage every 0.5s for 2.5s. Gotta have the tank trinket to survive that one! Possible indeed. That’s still powerful, it’s a damn ITEM that gives you 50k dps for a bit, it’s extremely good even with 400k hp to finish people off. I don’t actually mind broken PvE items if they do a lot of damage since the pace of the game increases. But when its tank items for literally every spec in a meta thats already slow. just reading some of this essences gives me aids. There is no way they manage to balance this stuff in any way haha. Setting up groups for raids a fair bit more annoying than for M+ but have to see.